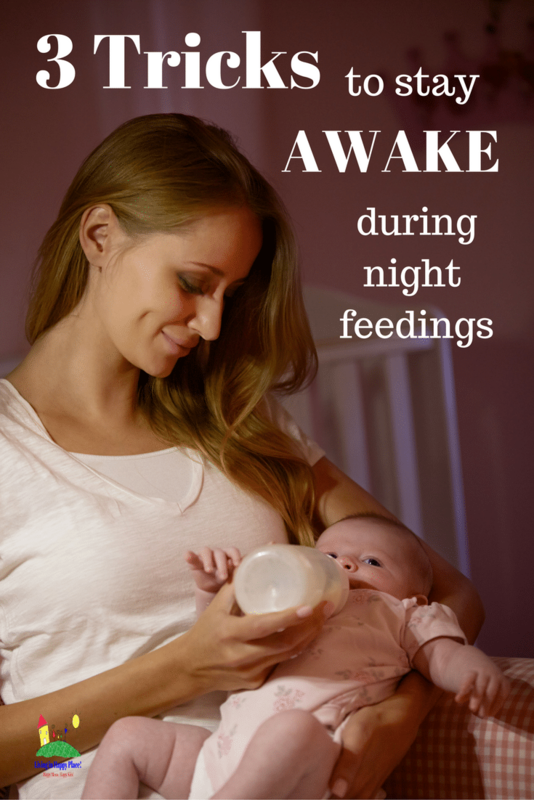 Night feedings can be really hard for moms. 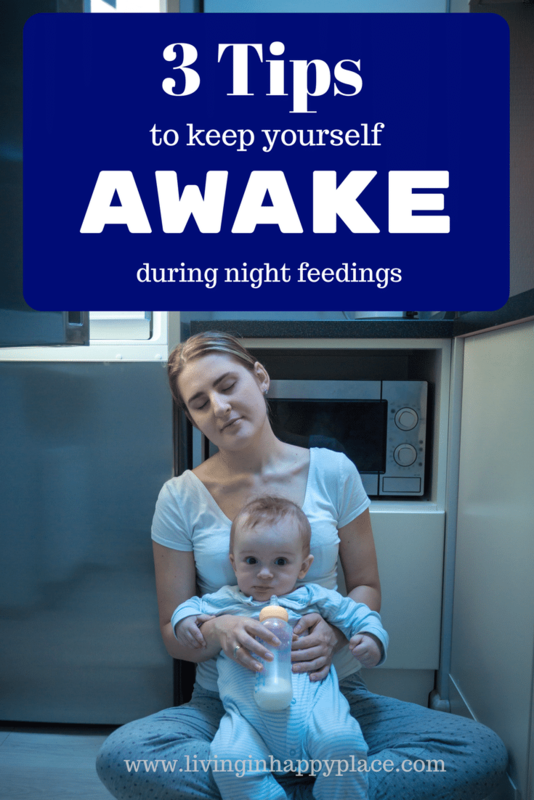 Try these tricks to keep yourself awake during night feedings or night nursing sessions. We all love newborns. They are cuddley and cute and innocent but let’s be honest- from that first rough night in the hospital, we wait for the day they sleep through the night. Until baby makes it to that point, we still have to find ways to make it through those (sometimes) torturous night feedings. Plus- get a free printable night feedings tracking sheet! After having 3 kids in 4 years, I have missed quite a bit of sleep. When the last kid was born, I had a premie, a 2-year-old, and a 3-year-old. Sleep was not only hard to come by, but a much needed piece of sanity. A sleepy mom is a stressed mom. Luckily I had found a trick to get the older two to want to sleep in their own beds, so I just had the baby. Since he was a premie, it was super important that he finished all of his bottles to gain weight. I lost a LOT of sleep and sometimes it was really hard to stay awake. I developed a couple of tricks to minimize how much sleep I was losing and to keep myself awake to make sure he finished each bottle. I want to share with you some of the tricks I used because I have been there and I know how challenge it can be to stay awake! Get everything you will need for night feedings ready in advance. Grab your Boppy pillow, bibs, burp cloths, etc. together before you head off to bed for the night. 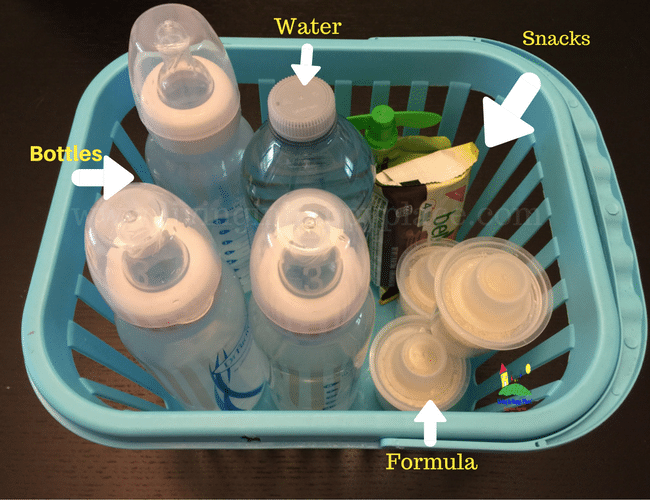 If you bottle feed, prep the bottles and put them in a basket (pic below!) to keep everything together and save you a trip to the kitchen. I love these formula dispensers from Tommee Tippee! You can pre-fill each container with the amount of formula you need then remove the small cap to dispense into bottle. They are inexpensive and save you lots of time. They also help keep bottle prep a little more sanitary when your on the go. A few minutes of prep while your still awake prevents you from having to stumble through the house in the dark! 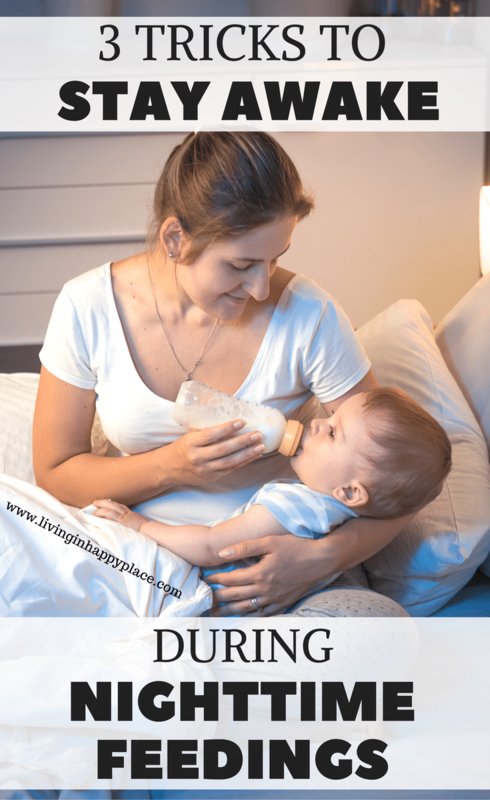 BONUS TIP: I always had the worst time remembering when the last feeding was because I was SO exhausted! I made a printable night feedings sheet to help me keep track of the details (ounces, sleep time, diapers, etc.) that I could never recall in my drowsiness. I want to share this sheet with you in case you might find it helpful! Get your free Night Feedings Tracker printable sheets below! It takes some extra calories to expend the energy for nighttime feedings. Water is super important so grab some water bottles or try this refillable bottle that promises to keep your water cold for 24 hours! You don’t have to bring a full meal to bed but grabbing a snack can give you the calories you need to make it through the night. Make it easy so you don’t have to move a mini-fridge to your room! 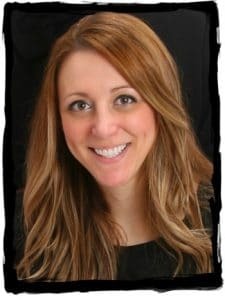 Want more tips and mom stuff? Join us: Be a Happy Mom! It may sound a bit silly but it works! It is really hard to fall asleep when you’re laughing! Create a board or do a search for funny topics. I discovered this one night when I was really struggling to stay awake and happen to find a funny meme scrolling through Pinterest. Have some friends who are also up feeding baby? Make it a group board and collaborate to keep each other amused during 3am feedings. It takes a village, right? They are only little for such a short time. Before you know it they will be asking for gas money and taking the car. Then you will be up all night for a different reason… worrying! Try and keep this in mind and treasure your bundle of joy while you still can hold him close. Don’t forget to pin this for those nights when you are trying to stay awake! Let’s be Mom friends! Follow us on Facebook, Pinterest, Instagram, and Twitter! I hope these few tricks get you a couple extra winks and help you stay awake during night feedings! 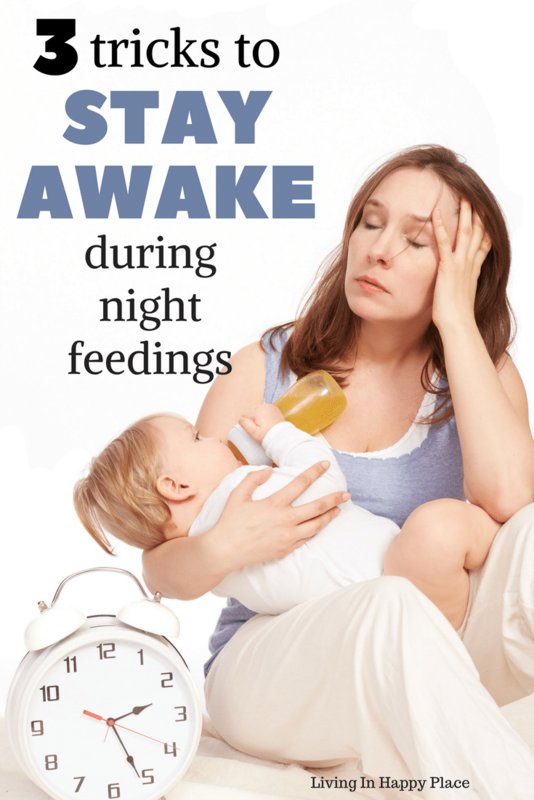 Subscribe and get your free Night Feedings printable to keep track of night feedings!